Sky is launching a new VIP service, with preferential access, priority customer service and freebies. The new loyalty programme will offer hundreds of thousands of free tickets to all customers, including top sports events such as the British Masters and the Premier League, exclusive preview screenings of the latest films and prize draws for money can’t buy experiences such as the chance to visit filming locations of Game of Thrones. Those who have been with Sky for more than three years are able gain access to new preview channel Sky Atlantic VIP (channels 994/995), giving access to new shows before the rest. Other perks including free set-up for Sky Fibre, free Sky Go Extra and free Sky Q set-up, as well as priority customer service. “Sky has always been a customer led company and the launch of Sky VIP is about putting our existing customers first and showing we value their loyalty. This isn’t about tactical deals or collecting points – it’s about offering genuine experiences and benefits we know our customers value and which only Sky can offer. “That’s why we are gathering every single ticket that we have from our sports partners and giving them to our customers, alongside free tickets to exclusive film previews and money can’t buy experiences. And for our most loyal customers, who we know want the latest kit and best possible service, we’ll be offering access to our best technology as well as priority customer service. 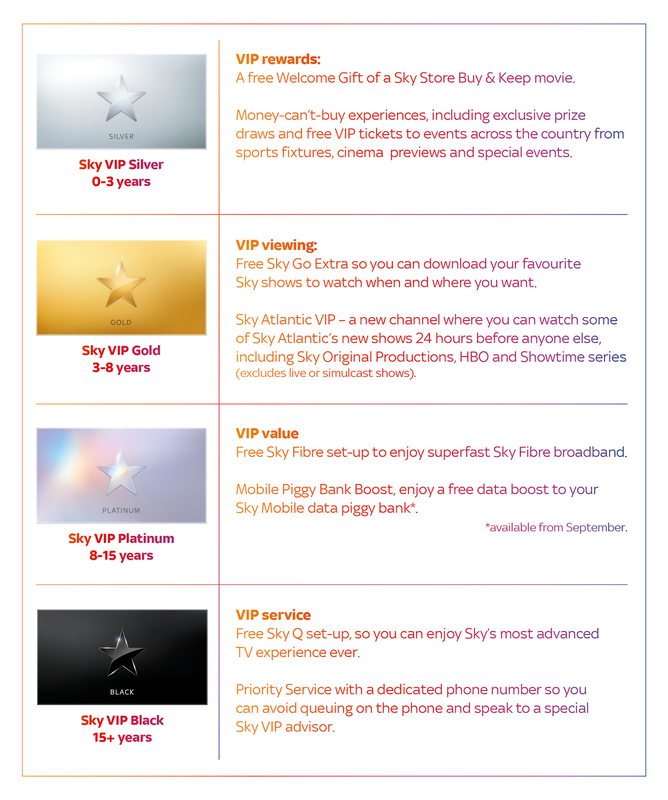 Sky VIP comes in four tiers, based on how long a customer has been with Sky: Silver (0-3 years), Gold (3-8 years), Platinum (8-15 years) and Black (15+ years). Each tier gives even more new benefits, as well as access to the rewards in the previous levels. Customers who’ve been with Sky the longest will be able to access all of the exclusive rewards and benefits on offer. 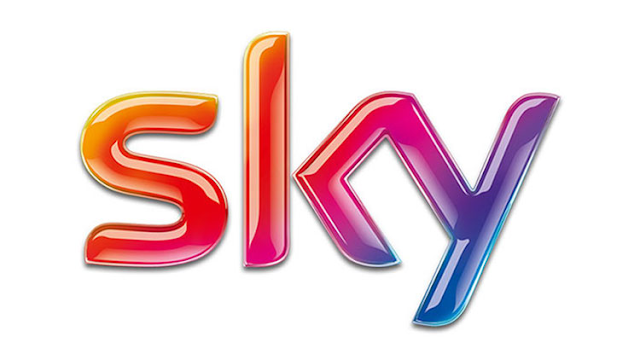 Access to Sky VIP is through the My Sky app.